Ch ampionship golf and champion golfers have long been intertwined with the mystique of Merion Golf Club’s East and West Courses. Designed by Hugh Wilson, Merion’s East Course has played host to more USGA Championships than any course in America and is home to some of its greatest moments. From Robert Tyre Jones, Jr.'s completion of golf’s elusive Grand Slam at the 1930 U.S. Amateur to Ben Hogan’s awe-inspiring performance and now legendary one-iron on the 72nd hole during the 1950 U.S. Open, the sculpted greens, fairways and treacherous bunkers of Merion have shaped the game. Most recently the host of the 2013 U.S. Open, Merion continues to not only challenge the world’s best, but identify them as well. With the completion of the West Course in May of 1914, Merion became the first club in the nation to boast two 18-hole championship layouts. 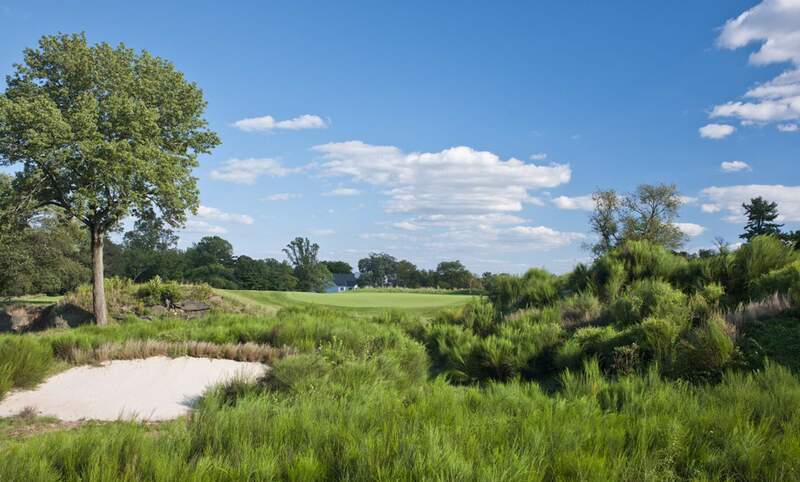 Jack Nicklaus once said, "Acre for acre, [Merion] may be the best test of golf in the world."